Prepping for your big day is no mean feat. From the caterers to the dress, to the venue, to the guest list, weddings are big-ticket days with high price tags. However, that’s not the only thing you may be considering when planning your wedding. When your eyes are on him, all eyes will be on you, so it’s no wonder many brides seek to tone and trim their bodies in the months leading up to their weddings. JJ’s House Designer Jessica has seen plenty of brides getting ready for their big day. She offers the following tips on the best exercises you can do to help you get in shape for your wedding. Ideally, you should start working out 12 weeks before your wedding, or even earlier. This will give your body enough time to adapt to the routine and start showing results. Consistency is key here, so you’ll want to make sure you book 3-4 times a week to work out or spend time at the gym. While cardio is an exceptionally important part of a healthy weight loss plan, it’s not the only part. Doing too much cardio can actually play against you when it comes to getting that fit and toned look. In fact, doing too much cardio could cause your body to hold onto fat since cardio’s effects don’t last as long as building muscle through lifting weights or doing something like yoga. Compound exercises are exercises that use more than one muscle group. They build more practical muscle, work faster, and will help you get in and out of the gym in a shorter time span. 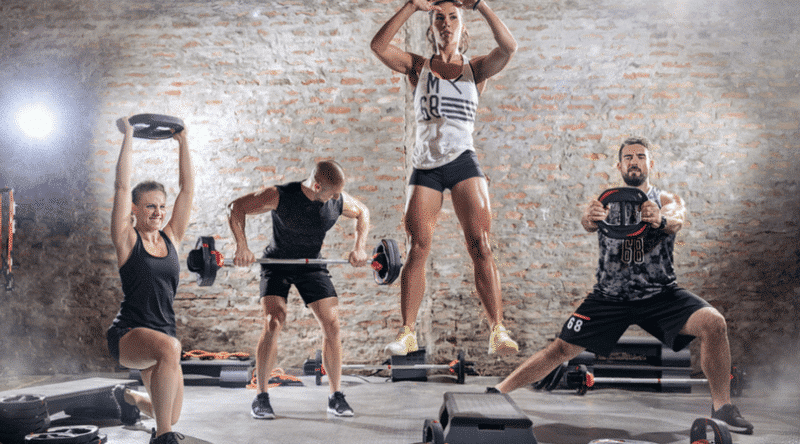 HIIT workouts (or High-Intensity Interval Training) with a resistance/weightlifting regime is probably your best bet when it comes to an effective weight loss plan for your wedding. Not a fan of the gym? Most HIIT workouts and resistance training can be done at home with minimal equipment. Going to the gym is not compulsory. These exercises can too be done from home with only your body weight as the necessary training equipment! Appropriate exercise periods are between 30 to 60 minutes a day, 3-4 times a week. All these exercises can be subdivided into various session. Don’t be afraid to mix and switch up your workout routines as that not only will keep things more exciting, but also it will help keep your body active by learning new things consistently, which burns more fat at the end! It is always a good idea to record your heart rate using any extra available application or equipment you may have. Also, note the heart rate should match your age group. Sometimes you may feel tired or stressed to workout, but don’t let the excuses get to you too often! It is advisable to try yoga or Zumba dance that is less vigorous if that’s the case. Always drink plenty of water regardless of the exercises you intend to practice on. Last but not least, maintain an excellent diet that goes well with your workouts.